“I can’t understand why anyone gets upset about this stuff” writes a friend reacting to the critique of Episode 2 of CBC’s “The Story of Us.” Though he is cynical as to the possibility that the CBC could accurately represent any history, the mythmaking is perhaps more galling as I work to counter the myths and write the descendants of the French back into a continental history. How can I explain that these Anglo-Canadian historical narratives writing French-speakers out of history take their toll on those who grew up far from the Saint Lawrence and do dredge up a visceral reaction? Too often I was asked where I came from, seen as not quite authentically Albertan, though my family had been there for four generations. How can one detail the shame that is instilled by such dramas that glorify the right Canadians, the entrepreneurial and innovative Bells and Mackenzies, while depicting our communities as backward, our forebears as the dirty labourers and unkempt farmers only given the mercy of perhaps one day assimilating into the glorified “Us” whose story CBC is telling in a tone reminiscent of an infomercial? 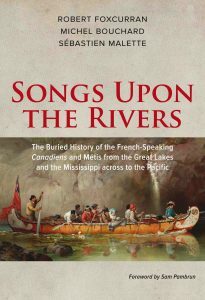 As my co-authors, Robert Foxcurran, Sébastien Malette, and I have detailed in Songs Upon the Rivers, there is rich history that has been buried on both sides of the Canadian-American border. The descendants of the French—Canadien, Créole, Acadien and Métis—had a continental presence yet their historical contribution has been derided and then forgotten on both sides of the border. CBC, our alleged national broadcaster, continues down this path of historical fictionalization which serves to once again set the Anglo-Canadian on a pop historical pedestal. One of the telling bombs which is dropped by the narrator is the statement that it is only after 1777 that “European traders begin to head West in search of new riches; spreading out beyond the Great Lakes for the first time.” Have none of the 75 historians allegedly consulted ever heard of Pierre Gaultier de Varennes, sieur de La Vérendrye? Several generations before 1777, the latter and his sons pushed deep into the interior, to what is now Manitoba, the Dakotas and Montana. Even they were not the first to push beyond the Great Lakes. Already in 1727, the French Crown permitted the creation of the Compagnie des Sioux to bring traders and missionaries to the Sioux in the great plains and this was built upon an earlier Compagnie des Sioux formed by Pierre La Sueur in 1699. 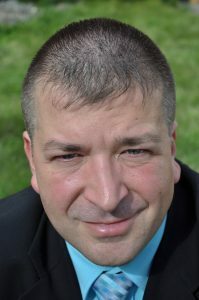 Why were such stories not worth telling? and his kin who helped Mackenzie while lost in the Arctic and helped the North West Company quickly establish trade networks across the continent. This Beaulieu’s son would be a patriarch of the northern Métis community. Without this preexisting network of French, Canadien and emerging Métis traders speaking French and First Nation languages, Alexander Mackenzie would never have reached the Pacific. The one explorer who did not rely on the Canadien and Métis was Sir John Franklin in his final expedition, from which not one person returned. Sadly, in the second episode, even the voyageurs are muted. Though we briefly mention the French-Canadians, they still remain the silenced backdrop to build Mackenzie’s glory. Though we do not know all their names, we certainly know some. Would it not have merited a minute or two telling their story to humanize them and fully integrate them into the story, into history? In addition to François Beaulieu, there was also Joseph Landry, an Acadian, who had also made his way West, having succeeded in fleeing Acadia before his people were forcibly deported. Including Beaulieu and Landry in the story would have been more beneficial to understanding our history than prattling on about entrepreneurship. Such episodes dredge up strong emotional reactions as I have had to spend too much time as a Franco-Albertan explaining Québécois nationalism to defend by extension my own sense of self and community as a minority French-speaker. Québec is invariably presented as having the bad ethnic nationalism as opposed to the good civic Canadian kind. Yet, the first two episodes of The Story of Us highlight that Anglo-Canadian nationalism seeks to impose a narrative as triumphal as the American Manifest Destiny. Here too, civilization is carried forward by the innovative and clever English and Scots dragging the dirty and unkempt other, my French-speaking “nous,” to glory. This is certainly not new and has been the dominant narrative thread for over a century. Such accounts nonetheless push many French-speakers to internalize this sense of being inferior, pushing towards assimilation as many seek to escape a stigmatized identity. Sadly, the CBC is selling this series to schools, pushing them to integrate it into the classroom, and if successful will leave a new generation even less knowledgeable of history. Alas, plus ça change, plus c’est pareil. 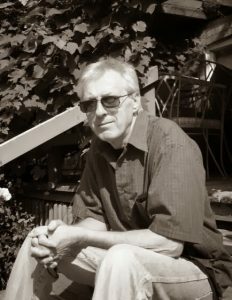 *Dr. Bouchard is a Professor of Anthropology at the University of Northern British Columbia and co-author of Songs Upon the Rivers: The Buried History of the French-Speaking Canadiens and Métis from the Great Lakes and the Mississippi across to the Pacific (Baraka Books, Montréal, 2016). A French version of this article appeared in L’Aut’Journal.